The world’s longest running scientific experiment has been in operation for the past 137 years, and it’s been happening on a secret spot on the MSU campus. We learn more from the experiment’s current caretaker, Frank Telewski. 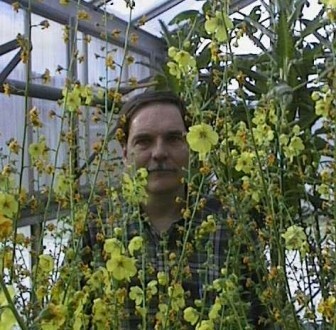 Dr. Frank Telewski stands next to some moth mullein cultivated from century-old seeds in this 2001 photo. Image: Frank Telewski. Current State’s April Van Buren talked to the man who is in charge of the experiment today. Frank Telewski is curator at the W.J. Beal Botanical Garden. He says Beal first started working on what would become the W.J. Botanical Garden in 1872. This story appeared on WKAR’s Current State and is republished here with permission.